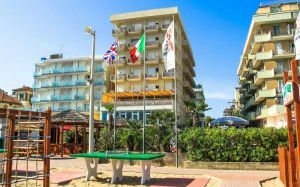 The 3-Star superior Hotel Napoleon Beach is perfect for those who are looking for a hotel with a swimming pool, situated right on the beach in Cattolica. 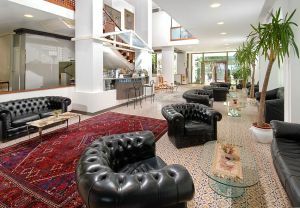 It has made a special agreement with the Lido delle Sirene, situated in front of the hotel. 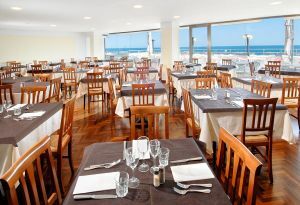 A restaurant that has a large panoramic terrace with a splendid view of the sea, of the Gabicce promontory and the evening promenade. 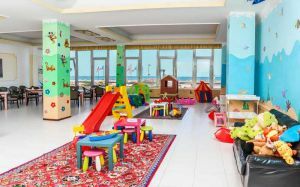 The 3-Star superior Hotel Napoleon Beach is perfect for children as they can easily go to the sea shore in complete safety. 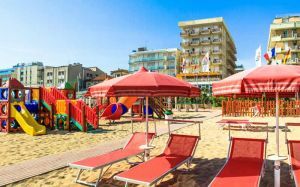 Besides this, on the beach with which we have made a special arrangement, the Lido delle Sirene, you will find the mini club with games and entertainers for children and in order for the older children to relax. Upon request, it is also possible to book your own baby sitter, by contacting the Reception and agreeing upon the hours required. 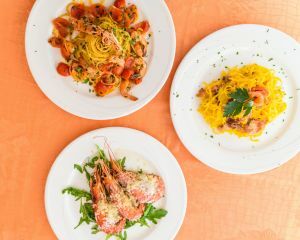 Great attention is paid to the cuisine and it offers the best specialities of the Mediterranean cuisine as well as traditional dishes coming from the Emilia-Romagna area with a choice of 3 menus, one of which is always based on fish, rich starter, side dish buffets and exquisite desserts. 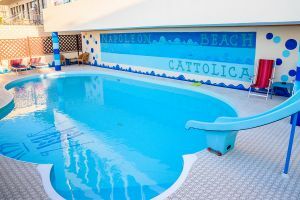 Among the 60 rooms that the Hotel Napoleon & Beach has, one will certainly be able to find the type that best fulfils your needs and expectations. 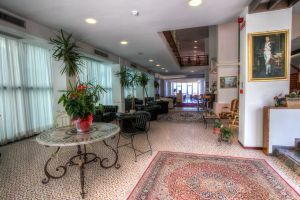 Finally, we would like to remind you that the rooms may be accessed as from 12.00 p.m. of the day of arrival and must be left by 10.00 a.m. of the day of departure. All-inclusive price list - City tax included! 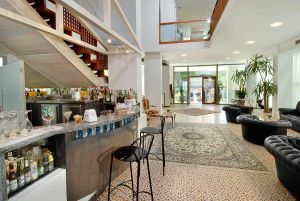 Choice of 3 menus with fish specialities daily, buffet of fresh vegetables and buffet of desserts at lunch and dinner. 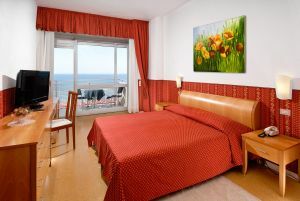 Unlimited drinks during meals: wine (red, white, rosé o fizzy), beer and soft drinks for children. 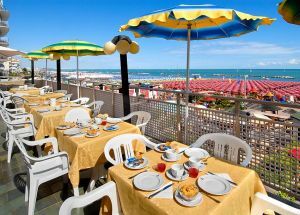 Beach service (minimum 4 days) at “Lido delle Serene” with umbrella from the 4th row and sun bed (for each adult). 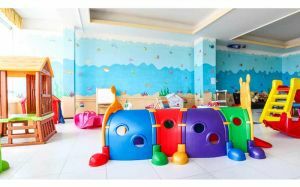 2 children in the same room with 2 adults pay for 3! Parking (insured and guarded) is always guaranteed: free at the Regina parking (about 1 km. away) with an efficient mini-bus service to and from the hotel. 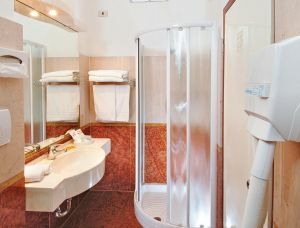 Gratuities and reductions are not cumulative with promotions and last minute offers.